For reasons that I myself can’t explain, I feel this strange sort of affinity with the new Filipino saint, Pedro Calungsod. I never even heard of him two months ago; and any sort of interest in him developed only after TV Patrol started covering the canonisation rites that officially made him a saint last month. It’s a very personal thing; and like I said I don’t even know why. Maybe, I knew him in another lifetime, who knows? All I can say is that I only had passing interest in the canonisation of the first Filipino saint, Lorenzo Ruiz. I mean no disrespect to the other saint; it’s just the way things are. I was aware from the regional news reports that his image, which was blessed in Rome during the canonisation rites, were doing the rounds of the Parishes after it returned back to the country on 25 October. The regional news also mentioned the other week that it was due in Lipa; but it was the sort of thing that quickly slipped my mind. 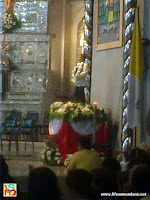 The image occupied a prominent place in the altar of the Cathedral of San Sebastian when I went this morning. Unfortunately – that is, for me – there was a Mass going on; and for reasons only they could explain, some young people had cordoned off the side of the church close to the image. Yesterday, however, a friend sent me a text message saying that the image was due at the Cathedral of San Sebastian around two in the afternoon; and would I be interested in writing about it. I replied that I would; and mentally made a note to go. To make a long story short, I decided to avoid the mass of faithful that was certain to greet the image and decided to go visit this morning. The image arrived from the Diocese of Imus in Cavite, stayed overnight and is due to leave this afternoon for the Diocese of Lucena. 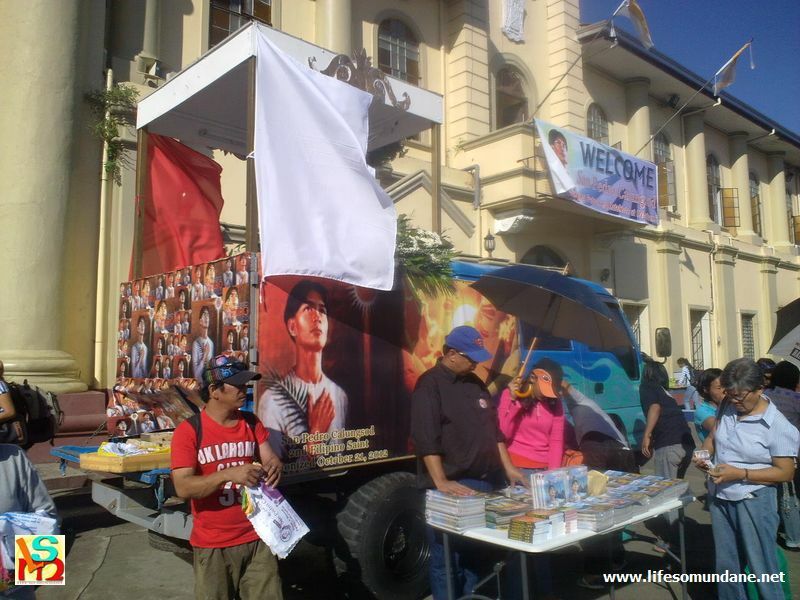 From its arrival on the 25th of October, the image has made the round of the Dioceses of Pasig, Antipolo, Cubao, Parañaque, Novaliches and the Military Ordinariate in Camp Crame, all in the National Capital Region. 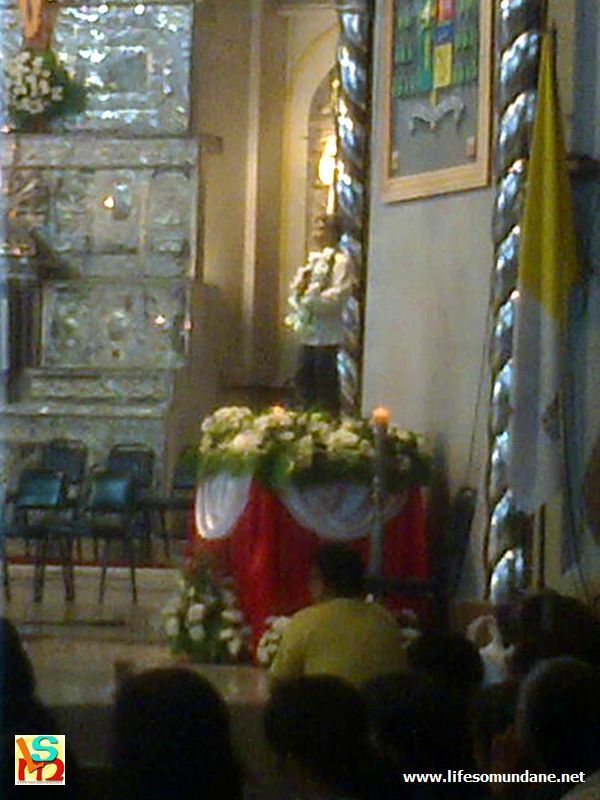 From NCR, the image was flown up north to the Archdiocese of Nueva Segovia in Vigan. From there, it has visited the Archdiocese of Lingayen-Dagupan, San Fernando in Pampanga and Manila along with the Dioceses of Malolos and Caloocan. 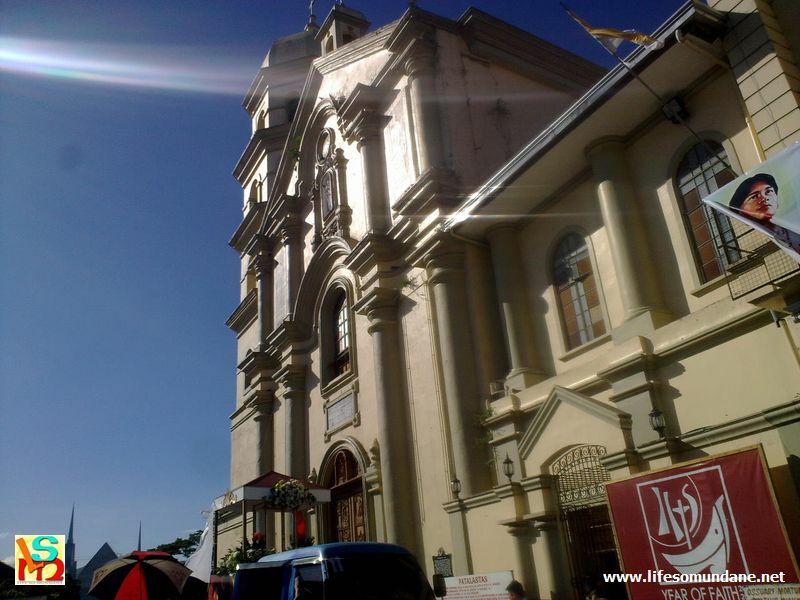 From Lucena, the image will move on to Bicolandia to the Dioceses of Daet and Legazpi along with the Archdiocese of Nueva Caceres in Naga. This explains the blurry image of the saint that is included in this article. 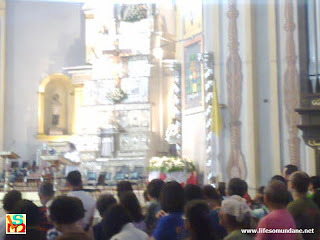 I could not really stay until after the Mass because I was due at my aunt’s house. To my mind, what really mattered was that I went. Again, for reasons I can’t really explain, I feel strangely happy that I did.